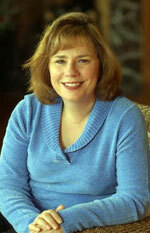 Bestselling author, Lisa Jackson, began writing after being encouraged by her sister, novelist Nancy Bush. At the onset, she and Nancy collaborated on novels but later the sisters went in their own directions. Lisa began writing suspense stories with a much darker tone than the romances she wrote with her sister. She writes stories that explore the minds of killers and those who hunt them. Her gripping and thrilling novels have become regulars on national bestseller lists. Jackson lives in the Pacific Northwest with her dogs, an 80 lb. rescue pitbull and a pug. Being an animal lover, she is a contributor to the Southwestern Washington Humane Society.